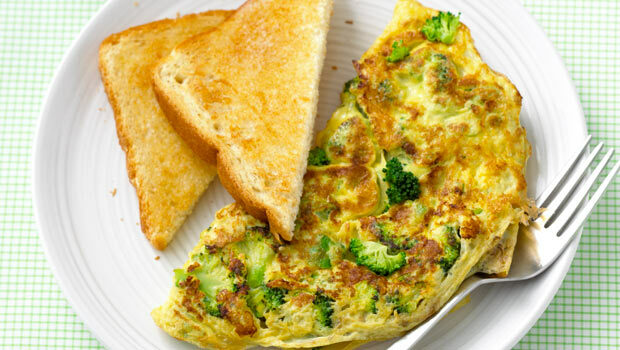 Complexity: Easy Prep time: 5 minutes Cook Time: 10 minutes Total time: 15 minutes Yield: 1 serving ( 1 omelet and 2 toast servings) Nutritional Informational per serving Calories: 390 Fat:19g Saturated fat: 6g Mono-saturated fat: 5g Polyunsaturated fat: 2g Carbs: 35g Protein: 23g Fiber: 6g Sodium : 550mg Cholesterol per serving: 440mg What you … Continue reading "Easy Healthy Recipe: Broccoli & Feta Omelet With Toast"
Ingredients 1 Red/ Yellow Bell Pepper 4-5 Eggs 1/4 cup Cheese (any) 1 tbsp Olive Oil Salt Pepper Directions Heat a non stick pan. Add a spoon of olive oil to it. Cut 1/2 inch rings of bell pepper. Remove seeds and center. Toss them in the pan and saute for a minute. 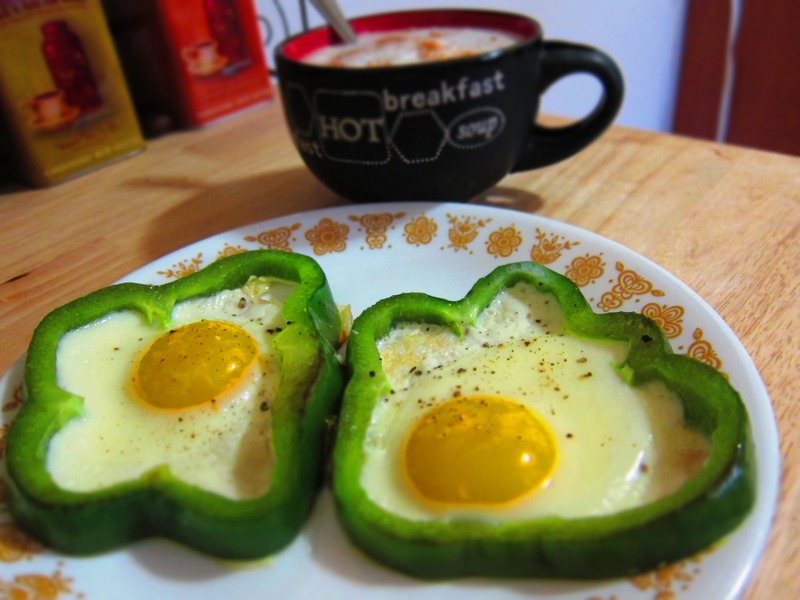 Crack and … Continue reading "Bell Pepper With Egg In a Hole"